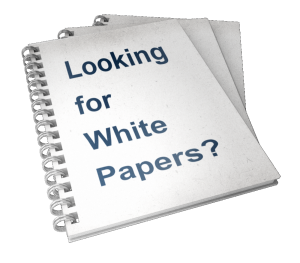 Considering a data centre audit or assessment? If you are specifically interested in Design or Facility Certification to the TIA-942 standard click here or if you are interested in Design or Facility Certification to the EN50600 standard click here. Which standard do you want the design to be certified against? Not all standards have the same interpretation of Tier or Class. The main aim of classifying a data centre design in terms of Tier or Class is to establish its resilience to failures. The aim of a higher Tier or Class is to remove single points of failure from the design and to enable maintenance to take place on the infrastructure without the need to shut down all or part of the IT systems (often referred to as concurrent maintainability). Do I really need my data centre certified? 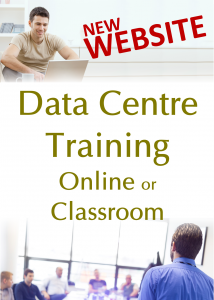 If you are building or operating a colocation data centre then you may want to certify your data centre against the TIA942 or EN50600 data centre standard. Provided you use a competent and experienced consultant such as Capitoline to do this then your customers will have the confidence in that certification. The certificate can then be used as a marketing tool. On the other hand if you are building or managing your own data centre then it is important to understand the vulnerabilities in the design but the need for a certificate is questionable. Do I have an Single Points of failure in the design? Will I have to shut down my IT equipment in order to carry out routine maintenance on the data centre infrastructure? Reliability is perhaps the most important requirement for a modern data centre because of the dependency organisations have on IT systems. When the IT systems fail it is a major issue and so we must respond appropriately. The first priority is to get the IT systems back online. How can we stop it happening again? The first question may be easy to answer. Perhaps the cause of the IT systems outage was the failure of a component in the power or cooling systems. If so we can fix it and get our systems up and running again but if we do not invest time in answering the second question then we may suffer the same fate again. It may not be the same component that fails but perhaps we have an inherent weakness in our data centre infrastructure. This should be investigated, the weak points identified and remedial work be recommended. The management team can then make an assessment as to whether the cost of the remedial work compares favourably to the reduced risk of another failure. It is important to understand that not all failures are caused by the physical infrastructure, many are caused by operational issues. We must therefore also review operational processes and staff experience and training to ensure that we have minimised the risk of a repeat failure due to these factors. A typical data centre consumes 50 times more energy per square meter than an office building. Data centres are responsible for more than 2% of the worldwide production of Carbon Dioxide. Carbon Dioxide has been linked to global warming and so it follows that we should be trying to reduce energy consumption in data centres. Improving energy efficiency in the data centre saves money! Not only does improved energy efficiency reduce running costs but it can also increase the data centres capacity to house IT equipment. A more efficient data centre can make more power available to the IT equipment. There are many ways in which the efficiency of a data centre can be improved, some are low cost and very simple to implement, others require a long term view to be taken. Planning for business continuity starts with assessing the risks to the business. Failure of the data centre is a key risk to the business and so it follows that we should assess the risks in the data centre and document how we intend to mitigate against them. This means assessing the external environmental risks, the internal risks and in particular the risks to the infrastructure, the personnel and the operational risks. Even if we have the most resilient design and industry leading operational processes things may still go wrong! Data centre operations management is just as important as design ! 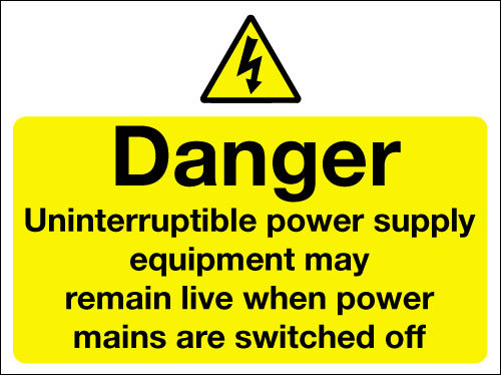 To prevent data centre failures many organisations spend millions on redundant equipment and alternative power supplies. However, if you do not have the right documentation, operational processes and suitably trained staff that money can be wasted. A Tier 4 data centre with poor operations management can behave like a Tier 1 site in terms of reliability! The concept of Tiers in data centre design can cause confusion and is often misinterpreted. It is important to establish that there are no single points of failure. In a data centre this normally means performing a detailed review of the power and cooling infrastructure to ensure that the failure of a single item can be isolated in such a way that the power and cooling requirements of the IT systems can be maintained whilst the faulty item is replaced. The principles of identifying single points of failure has been applied for many years in critical engineering facilities not just in data centres. In fact it has also been applied extensively in critical business processes such as supply chain management and in IT network design. The key design requirement for a Tier 3 data centre is concurrent maintainability. The infrastructure of the data centre is concurrently maintainable if we can maintain any item in that infrastructure without the need to shut down all or part of the IT systems being supported. A data centre which is concurrently maintainable is not necessarily fault tolerant. A data centre operator may be willing to tolerate the occasional failure for a short period of time provided they can switch to an alternative system whilst the faulty item is repaired. This is referred to as concurrent maintainability but the system is not fault tolerant. A fault tolerant system would be able to switch over to an alternative supply automatically and instantaneously so that there is continuity of service. In order to establish whether a data centre is concurrently maintainable we must perform a detailed review of the power and cooling infrastructure to ensure that each item in the infrastructure can be isolated in such a way that the power and cooling requirements of the IT systems can be maintained whilst that item is maintained or replaced. The power and cooling capacity should not be reduced below that required by the IT systems whilst maintenance is being carried out or we will have to shutdown some of the systems. Thermal imaging is using the infra-red light emitted from warm items to indicate their temperature in an easy to comprehend visual format. Thermal imaging, also known as thermography, is especially good at showing small temperature differences between adjacent objects and so has been used in many engineering, medical and military investigative work. Taking the thermal photograph is easy. It is the interpretation of the image that is important. To ensure the levels are safe for people. To ensure the reliable operation of information technology equipment. The organisations that have most to say on exposure levels to electromagnetic fields are the World Health Organisation, WHO, European Union and the American Occupational Safety and Health Administration, OSHA. In turn they often look to the International Commission on non-ionizing Radiation Protection, ICNIRP, and the Institute of Electrical and Electronic Engineers, IEEE, for detailed guidance. The appropriate levels can be measure to ensure that you are meeting the appropriate regulations and recommendations for the safety of your staff and visitors to your facility. Information Technology equipment (IT) covers everything from computers, servers, local area networks, storage and telecommunications equipment. It is designed to tolerate a certain amount of attack from electrostatic and electromagnetic fields. Once these levels have been exceeded however they will malfunction; this will be manifested as lost and corrupted data, a slowing down of LAN traffic (as the error correcting codes keep asking for data to be re-transmitted) and logging on and off of terminal equipment. 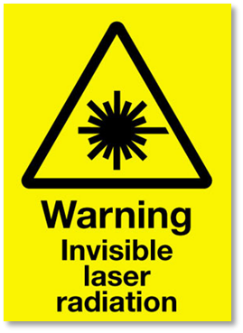 Most IT equipment is labelled with the American UL FCC and European Union CE mark to demonstrate that it can tolerate certain levels of electromagnetic fields and that it in turn will not radiate more than a certain amount of electromagnetic radiation. If you are thinking of building a new data centre but not sure which is the best site, or perhaps you have a shortlist of one or two sites but you want to know which is the best. Obviously there is a financial decision to be taken but you should also be considering the risk profile of the site. How much would you be willing to invest without understanding the risks to your investment ? A data centre is a significant investment and perhaps more importantly your business will depend on the service continuity it can provide. Anything which may disrupt that continuity of operation should be identified and the risk assessed before making a decision on location. The assessment of interference requires the use of specialist RF spectrum analysers which are used to perform a full frequency scan test to decide if the site meets the EMC/EMI requirements of TIA 942 and EN 55024 and other relevant standards. Capitoline has introduced a Data Centre audit and assessment service called DC Worksafe (Trade Mark) which meets the audit and assessment requirements of the major Standards and Regulations relating to workplace occupational health.